Thermoelectric materials can convert waste heat into usable power and thus have great potential as an energy technology. However, the thermoelectric efficiency of a material is quantified by its figure of merit, which has historically remained stubbornly low. One possible avenue towards increasing the figure of merit is through the use of low-dimensional nanograined materials. In such a system scattering, tunnelling through barriers and other low-dimensional effects all play a crucial role and thus a quantum mechanical treatment of transport is essential. This work presents a one-dimensional exploration of the physics of this system using the Non-Equilibrium Green’s Function (NEGF) numerical method and include carrier scattering from both acoustic and optical phonons. This entirely quantum mechanical treatment of scattering greatly increases the computational burden but provides important insights into the physics of the system. Thus, we explore the relative importance of nanograin size, shape and asymmetry in maximizing thermoelectric efficiency. This work was supported by the Austrian Science Fund (FWF), contract P25368-N30. 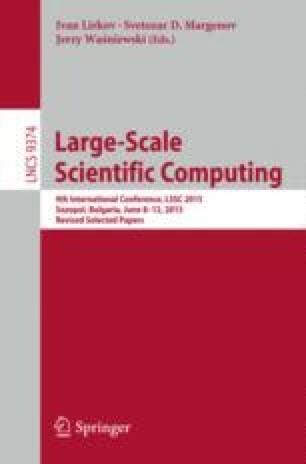 The computational results presented have been achieved using the Vienna Scientific Cluster (VSC).